Zoologist, author, film producer, and entrepreneur Dr Tammie Matson shares her leadership journey and explains why you should never let fear hold you back. Dr Matson will be speaking at the Women's Leadership Symposium in Melbourne, Perth and Hobart so we jumped at the chance to find out more about her story. When my father took me to Zimbabwe at the age of 15, I found a direction and a sense of purpose that would continue to motivate me for my life to date – wildlife conservation. From teaching English to local kids at a small school in rural Africa when I was 18 to being in charge of research projects on impalas and elephants in my 20s, and later running WWF Australia’s national species program, I’ve both led programs and projects and managed small teams in Africa and Australia, sometimes remotely, and often crossing cultural borders. 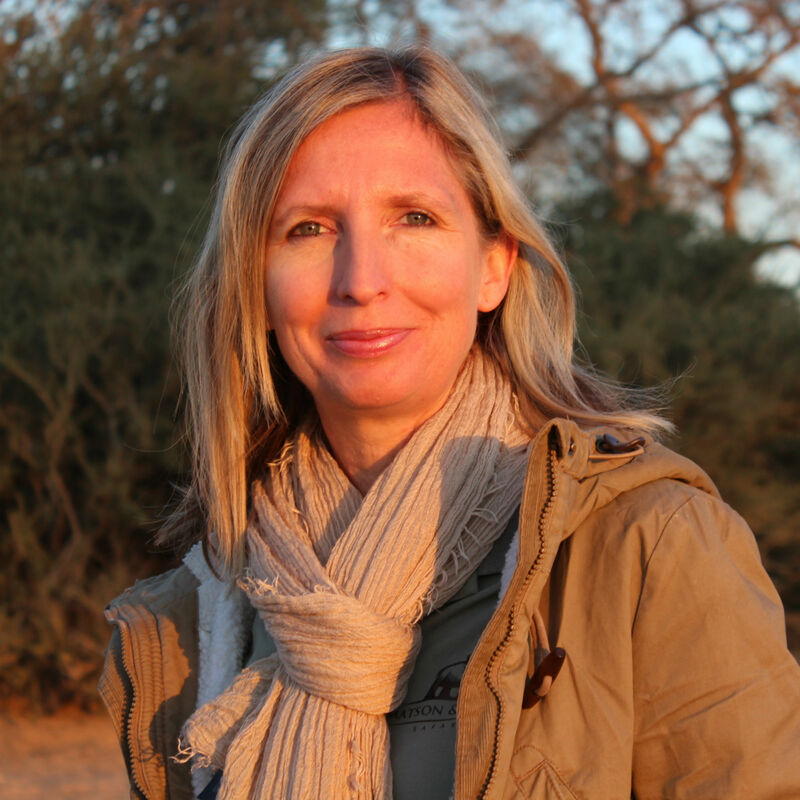 Since becoming a mum to two young boys I’ve been running my own business, Matson & Ridley Safaris. This gives me the flexibility to travel to Africa leading small safari groups that give back to conservation. I’m also developing a research project on elephants in a remote Rwandan national park called Akagera, which will give me the chance to study elephant matriarch behaviour more closely. We have much to learn about leadership from older female elephants! What are some of the most important things you have learned in your career? Having the right people around you is critical. I always work with local people when I’m in the bush in Africa and on more than one occasion they’ve saved my life. Persevere and don’t let anyone tell you that you can’t do something. You can do anything you set your mind to, but you have to stick at it. Fear can be your friend if you use it to motivate yourself to achieve what you want to. We’re all held back by our fears, but in nature in Africa, animals like impalas use that feeling to push them to survive and thrive. Without fear, they would die in the jaws of predators. We have fear for a reason. It’s what you do with it that matters. Elephants, which have a matriarchal society (led by women), have taught me the most about leadership, especially the importance of compassion. I think many women are natural leaders, just as in elephant society. We manage families and careers and juggle like crazy to do as much as we can. We don’t necessarily see what we do as leadership, but it is. On your website, you mention that you “overcame sexism and the macho culture of rural Namibia”. Can you tell us more? Two decades ago I was one of very few young women starting out on my PhD on black-faced impalas, a threated subspecies of antelope, in the remote and stark environment of Etosha National Park in Namibia. I was young, female and foreign in a place dominated by mostly much older Afrikaans men, some of whom spoke limited English. At first, I tried to fit in by being like them, even trying to meet them for a beer at the local bar and learning basic Afrikaans. But I soon realised my real strength was in getting over my own nervousness about being different and simply accepting that I was a woman in a male-dominated place. One day I baked a cake and took it over to the tea room for all the scientists and park managers, and after several months of being either ignored or grunted at, this one small act seemed to totally win the boys’ club over. That was a turning point. Over time, my confidence grew and I think I earned some respect the hard way (a big part of this was sticking it out during the stage when I felt like I was at the bottom of the food chain). I grew to love Etosha and its people and eventually got all the data I needed to complete my PhD in zoology. Never let fear hold you back. Use your fears to motivate yourself to achieve your goals. Think like an impala – when you’re being chased by a lion, feel the fear, but don’t let it paralyse you. Use it to empower you and drive you forward to see another sunset. Workplace bullies can be a bit like lions. Never turn and run from a lion. Either face him head on and yell or walk slowly and calmly backwards and out of the danger zone. Keep your cool, but most importantly, don’t run. Keep adapting and evolving. In the animal kingdom, the species that have survived evolution are the ones that learned to adapt to their surroundings through the tough times. You have to equip yourself with the skills and mindset you need to thrive in a rapidly changing world. No one else is going to do it for you. Dr Tammie Matson is a zoologist, author, film producer, and entrepreneur. 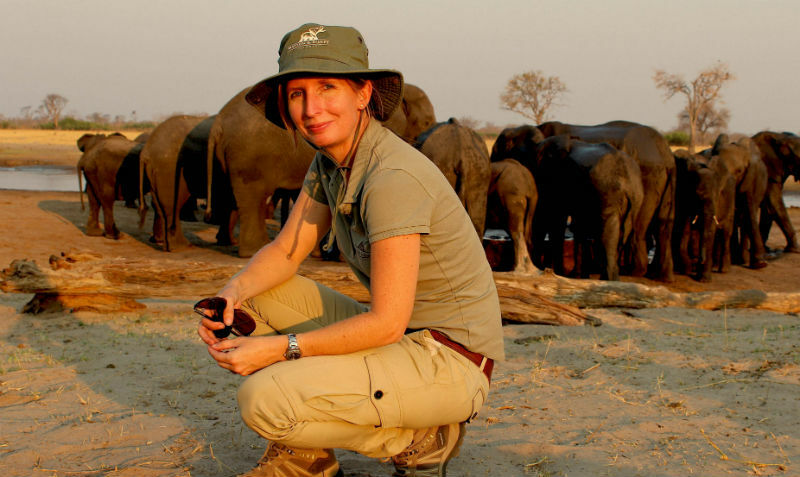 She is a world expert on elephants and holds a PhD in zoology. If you want to hear more from the superb Dr Tammie Matson along with an incredible line up of women leaders, she will be speaking at the Women's Leadership Symposium in Melbourne, Perth and Hobart. Tell us what you think on social media. Share your comments with us on Facebook, tweet us or share on LinkedIn. You can also check out our YouTube channel.